Should be fed live food, and can be weaned onto dry foods in time. 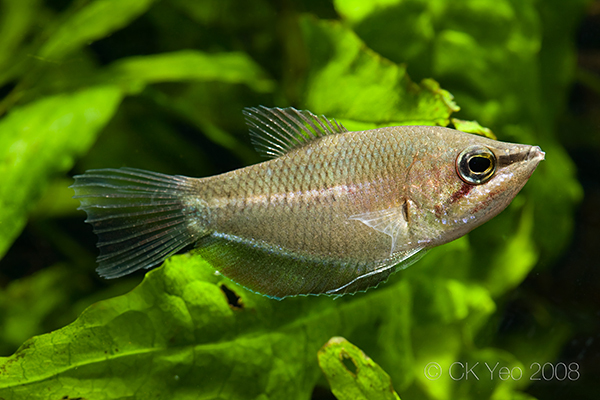 With other small peaceful fish like rasboras or kuhli loaches. Should be kept in groups of 6 or more so they can form a hierarchy. Males have a lateral stripe across their body, females are more reddish in the throat area.